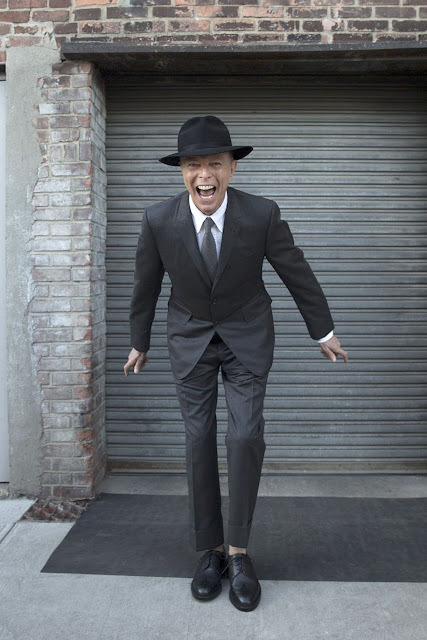 On January 10th, 2016, just two days after the release of his birthday album, Blackstar, David Bowie passed away of cancer. His impact on the world will not be forgotten. I remember at some point during college writing a paper in which I said something along the lines of, "I dread the day I will wake up in a world without David Bowie." How truly ironic on the 13th, I woke up feeling absolutely horrid only to check my phone and find a Snapchat waiting to tell me that Bowie had passed, followed by a call from my boyfriend making sure that I was doing alright. I went back to bed for a little bit longer but forced myself up and to get ready for work. The whole day was kind of difficult; I felt like if I talked about it at work everyone would just think I was being ridiculous. So I made myself wait until after work to cry, and I did while driving around a frozen state park driveway and listening to The Rise and Fall of Ziggy Stardust. That album was my souvenir from the first time I went to the Rock & Roll Hall of Fame. I was a teenage girl and quite unkind toward my own existence, afraid to step past what others thought for the first time in my life. But discovering David Bowie and his artistic career did something to keep my little spark of madness alive during those years of uncertainty. 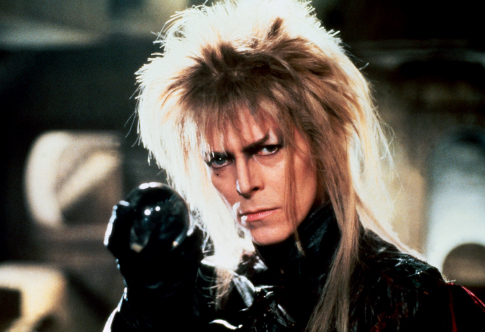 I loved the movie Labyrinth, maybe relating a little too much to Sarah in wishing that some Goblin King would whisk me away to adventure away from third period Algebra. I wanted to have the guts to dress that ridiculously and get away with it and eventually embrace that courage to express myself. As I've gotten older, his impact on my life is clear: like that kooky uncle who hanging out in the background of my mind, often the one encouraging me to take that risk and create something simply because it's on my heart to. Bowie did that until the end. 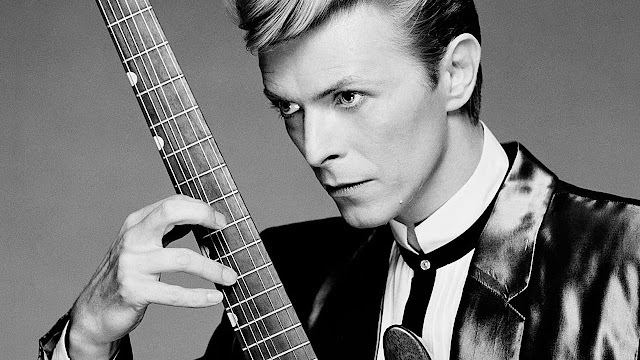 During his remarkably private battle with cancer, Bowie had a lot of time to think. Blackstar was probably set to come out on his birthday whether he was there to celebrate it with us or not. For one, I am glad he was here to celebrate with us and had a few more days to feel all the love and praise from critics that came from this latest release. I've watched the "Lazarus" video several times this week and was surprised to notice that the costume he's wearing as he crawls into the wardrobe at the end is in fact the same one he wore in "The Man Who Fell to Earth." That is, a film in which he portrayed a being from outer space. He knew that his time was coming and wanted to say goodbye in the only way he knew how. Perhaps that jumpsuit is indeed symbolic of the fact that he didn't simply pass on--David Bowie went home and is at peace. He wanted all of us to know that before making that final journey. I was fifteen, I think. I remember the specifics better than the date. I was enthralled--I'd heard of David Bowie, of course, but my knowledge was limited to knowing the song "Golden Years" in A Knight's Tale was his. Anyone who loved him knew that. His appearance was as ever-changing as his musical style. He was a versatile force of nature whose songs sometimes made no sense and sometimes made too much sense. He was never afraid. He was always openly and unabashedly himself. He had a wonderful sense of humor, too. I loved to watch his talk show appearances, the way he rolled with conversations, the way he firmly stated if he didn't want to talk about something, or his ability to make the audience laugh by telling a joke or pulling a particular face. My favorite thing was when he would talk about his daughter. His face lit up, and he would begin to discuss the way she mixed up her birthday or the first time she saw the moon. He inspired me like no one else. I would think, "If David Bowie could be David Bowie, I can do anything." I can be anything, and I can make it work. He didn't place himself in a box. If he wanted to try something, he tried it; and he did it all with a dazzling personality and a humble but self-assured kindness. He was a rare man and a rarer soul, and he touched my life in ways most celebrities never do. He changed me, he gave me courage, and I was--and will forever be--so, so grateful and so thankful. Because I got to live at the same time as David Bowie. Please feel free to post your tribute to David Bowie in the comments.